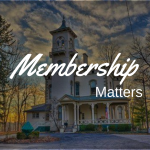 To collect, preserve, interpret, and promote the history of the Milford-Miami Township Area. Promont is Open Sundays from 1-4 pm. Admission is $5 adult/$1 12 & under. You may schedule a private tour for small groups by calling 513/248-0324 or via Email. We have discovered some serious water damage at our beloved Promont. The most urgent repairs are needed on the balconettes on the tower, as well as the plaster and moldings of the master bedroom, and the ceiling and walls of a third-floor servant’s quarter. 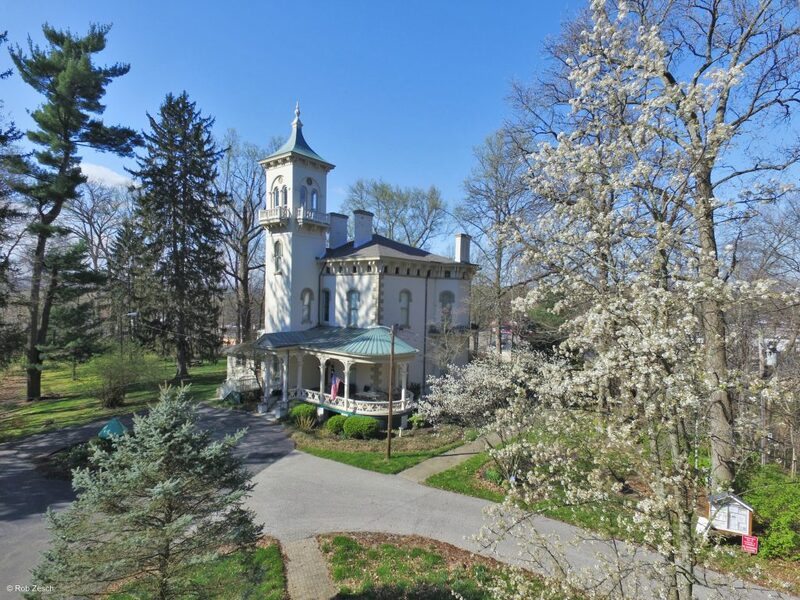 Please consider visiting our Go Fund Me for more details and to assist us with these repairs, which require custom preservation work in some areas. We have received donations of $5 to $500 and we could not be more grateful for the support our community is offering 154 yr. old Promont! Every dollar counts in this campaign and we appreciate your support! Please click the button below to add your contribution. Thank You! Enter the Art Affaire Poster Image Contest! 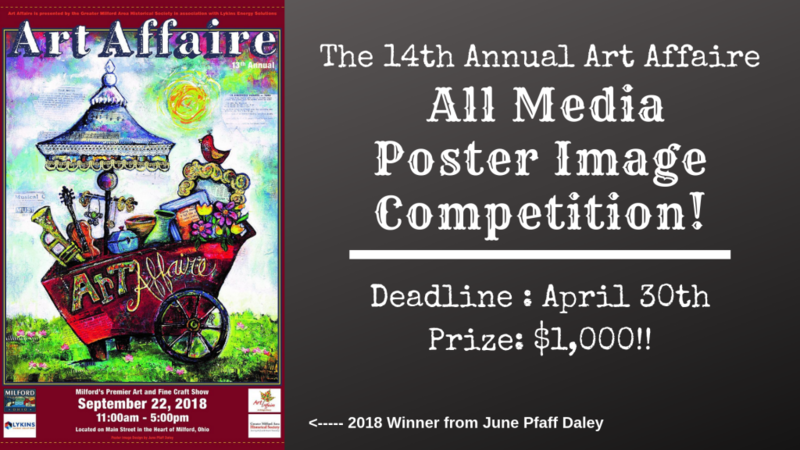 Your artwork could be the featured image on the 2019 Art Affaire poster & other promo materials. Click below for details! Art Affaire is now accepting applications for the 14th Annual Art Affaire through April 22nd! If you’re interested in participating check out the Art Affaire Page for everything you need! Download the Call to Artists Guide, the Application, as well as a Jury Preparation Guide. We are also looking for Sponsors and Volunteers – if you’re interested please send us an email! Check out all of our upcoming events by clicking the button below! We have many events coming up this year and we would love for you to join us! 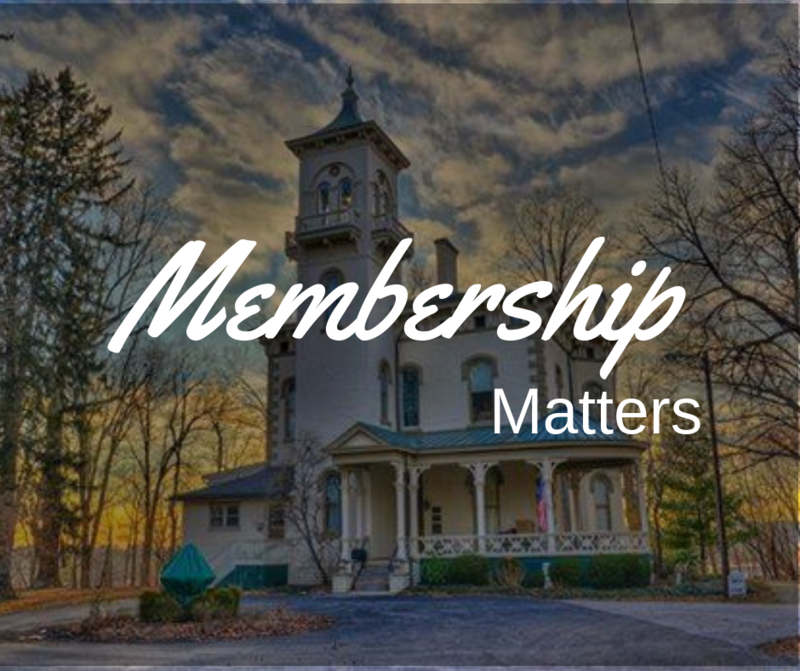 From Brown Bag History Lunches to Book Club to Studying Cemeteries to a Premier Art Fair, we have something for everyone! Want to Create Your Own History at Promont? Rent Promont for your event or function in 2019 & beyond! 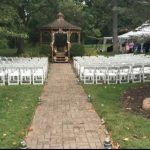 Promont offers a unique, personal experience when you book your wedding, shower, party, meeting, picnic, or any other event with us. For more information visit the Promont Events website, Facebook page, or contact our Certified Events Coordinator, Kim Phipps at 859/409-3504 via call or text. Visit (and Like!) our Facebook Page to receive updates of events right in your news feed. Private event notice. 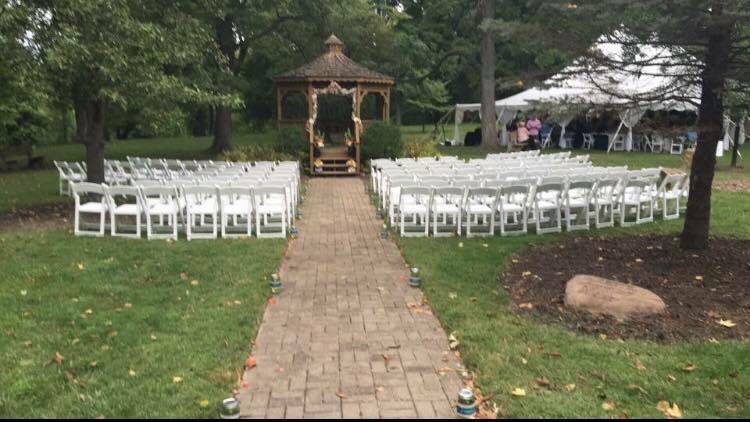 Promont is often booked for private events and these engagements can overlap with regular open hours. Please check this website or the GMAHS Facebook page for closure notices. Or, call 513/248-0324 (Wednesday-Friday). GMAHS received a matching grant from the Ohio Arts Council (OAC) to enable the expansion of its Art Affaire’s community cultural program. The OAC helped fund this program with state tax dollars to encourage economic growth, educational excellence and cultural enrichment for all Ohioans.